Happy Cinco de Mayo! Every year, on May 5th, people of all backgrounds join in the celebration of Cinco de Mayo. But how much do you know about this holiday's history? Did you know that Cinco de Mayo is not Mexico's Independence Day as most think??!! It actually commemorates the victory of the Mexican militia over the French army at The Battle of Puebla in 1862. It is primarily a regional holiday celebrated in the Mexican state capital city of Puebla and especially in U.S. cities with a significant Mexican population (i.e. Phoenix, AZ!). Whatever your ethnicity may be, Cinco de Mayo is the perfect time to cook up some spicy Latin fare, embrace Mexico's flavorful culture, and indulge in a much needed margarita, or two! 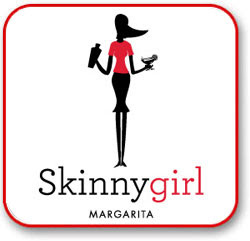 For all my health conscious gals and guys out there, here is the recipe for a Skinny Girl's Margarita directly from Bethenny of Bravo's Real Housewives of NY. I've been wanting to try her recipe for this drink after watching her on Bravo's show and hearing about her new book and all-natural food business. 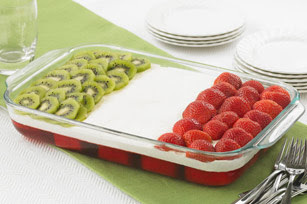 If you'd like to try something a little daring, click here for Kraft's super yummy and festive Mexican Flag Cake recipe. What are you doing to celebrate this holiday?